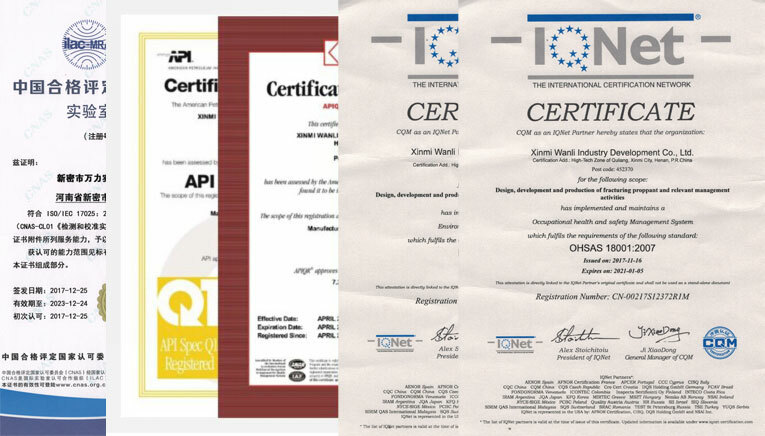 In accordance with the ISO9001:2015 and API SPEC Q1 standards and the actual operation of the company, Wanli company established quality management system to achieve high efficiency, Operation standardization and standard operations. We purchase raw materials in the mines we hold, to ensure the stability and sustainability of the raw materials supply, and carry out strict chemical analysis before each batch of raw materials into the factory. In the production of flour milling, granulating, sintering all aspects of the corresponding testing items, real-time monitoring of the entire process of production. After screening each package of finished products, we extract samples to ensure that each package product entered the warehouse is qualified. 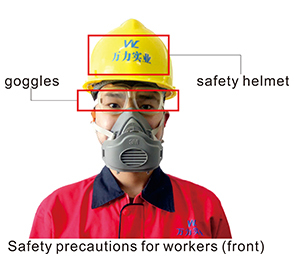 According to the production batch number, before the production leaving factory, we will select one bag of products from 1000 tons randomly as the sample for full analysis tests. Only qualified production can be sent out. Each package of products can be tracked according to the corresponding package number and batch number. The sample retention time is not less than 6 months, and the retention time can also be adjusted according to customer requirements. Wanli regular production of proppant products sent to China petroleum exploration and Development Research Institute Langfang branch of proppant evaluation of laboratory testing, the United States Stim-Lab PropTester, British Frac-Tech laboratory testing and laboratory test, all test report showed wanli proppant with high temperature, high pressure resistance, corrosion resistance, high strength, high conductivity etc. 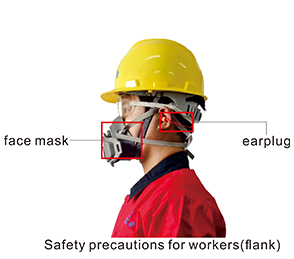 Wanli is committed to care for the health and safety of employees, and in accordance with the OHSAS18001:2007 standard to establish a perfect occupation, health and safety management system, specific management measures related to employee health and safety activities, including occupation health monitoring, PPE management and staff of the regular physical examination management. Zero casualties, zero environmental problems, which have always been our advantage and achievements, but also the future continue to adhere to the goal.